CARLISLE — For the first time in over two months, the Carlisle Bison basketball team finished a game with a victory. Carlisle outscored Hazen 11-6 in overtime to defeat the Hazen Hornets 63-58 at Bison Arena. The win broke Carlisle’s 15-game losing streak. 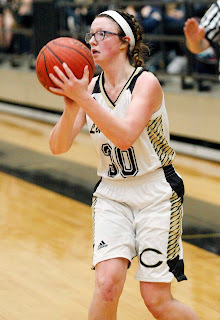 The Carlisle Lady Bison were also victorious Friday night, defeating Hazen 47-26. The Bison opened the 2018-19 season with 56-42 win over Glen Rose on Nov. 13. After some turnover with the roster, Carlisle had struggled at times but everything came together against Hazen even though the start of game wasn’t a good one. Hazen led 10-1 with 4:41 left in the first quarter. Carlisle outscored the Hornets 12-3 the remainder of the quarter to tie the game at 13-13. Carlisle led 28-27 at halftime and 41-33 after three quarters. Carlisle led 52-48 following a free throw by Jasean Harper with 27.5 seconds left. Hazen’s L.J. Magee hit a basket with 22.7 seconds left. He was fouled on the play but the Hornets got the rebound. That led to Ay’Jon Green scoring on a putback to tie the game at 52-52. Carlisle had a chance to win it in regulation but T.J. Henderson missed a three-point attempt with 3 seconds left. Hazen took a 54-52 lead early in overtime. Harper tied the game at 54-54. Carlisle’s Creed Carter hit 1 of 2 free throws then Davarius Allen scored on a putback to give the Bison a 57-54 with 1:33 left. Hazen pulled to within one twice, the last coming at 59-58. Carlisle’s Will Carter then hit four free throws in the final 20.7 seconds left to seal the victory. 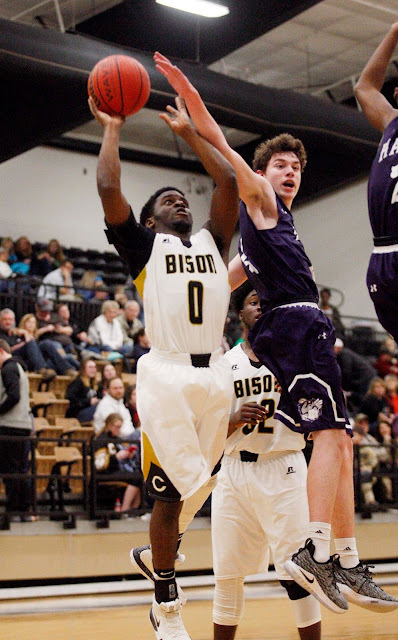 Will Carter led the Bison with 23 points. Harper had 16. Creed Carter had 10. Allen scored six. Ben Orton had four. Embry Thornton and Henderson had two points each. Green led Hazen with 14 points. The two teams will play again Monday night at Hazen. The game was postponed from December when the Hazen football team was playing in the Class 2A state championship game. The Carlisle Lady Bison improved to 12-7 on the season with a 47-26 win over Hazen. Carlisle led 17-6 after one quarter and 40-9 at halftime. Kiara Milled led Carisle with 10 points. DeShaye Ricks and Leigh Ann Wolfe had eight points each. Shelby Hancock and Jasmyn McElyea had five points each. Heather Bowlan, Josie Fortner and Kate Faucett had three points each. Taylor Cullum scored two. I've been the leading authority on sports coverage in Lonoke and Carlisle since 1995. I've won numerous awards from the Arkansas Press Association for my sports and news coverage in Cabot, Lonoke and Carlisle. Mark Buffalo. Simple theme. Powered by Blogger.